I have always loved the outdoors. Despite living in suburbs of Saint Paul-Minneapolis until moving to Somerset, Wisconsin when I was 7 years old, my family had houses with large backyards where I spent most of my time. After moving to Wisconsin, we lived in the country and I spent even more time outside with my two younger sisters, catching frogs and bugs, watching birds (and squirrels) at the bird feeder, collecting autumn leaves, and enjoying nature. I always knew I wanted to work with animals or work outside, thinking I would be a veterinarian when I was young, before deciding in high school I liked the field of conservation better. I chose to attend UW-Green Bay because it offered a strong Environmental Science program, as well as Biology with an Ecology/Field Biology emphasis, which I knew would help me get a job in the conservation field. The summer before my junior year of college, I was hired for a STEP position (intern) at the U.S. Fish and Wildlife Service, where I work in the areas of aquatic habitat restoration and fish passage issues. I graduated from UW-Green Bay in 2013 with a Bachelor of Science degree in Environmental Science and Biology, and I am currently working towards my master’s degree in the Environmental Science and Policy graduate program (Ecosystem Studies emphasis). 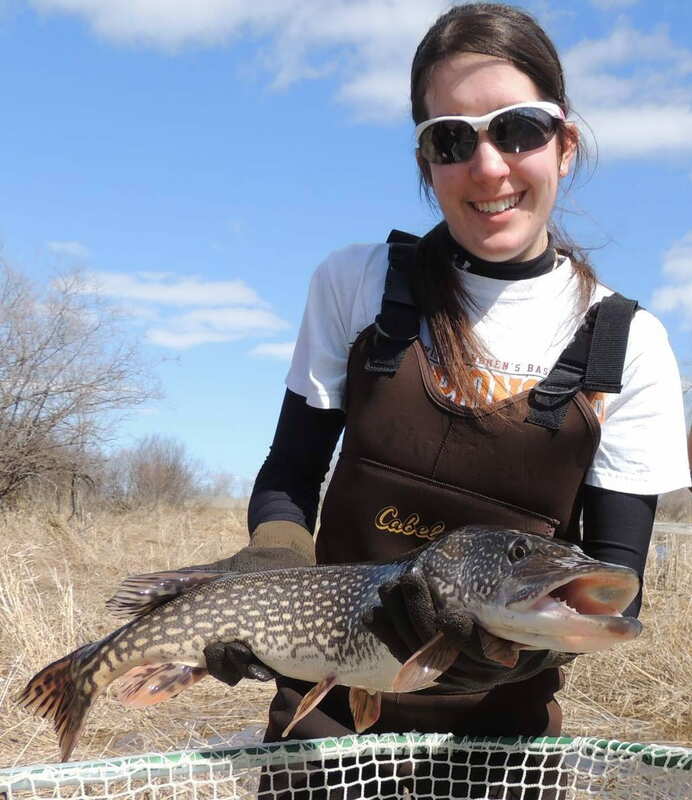 For my thesis, I am developing a project to test adult and young-of-the-year northern pike (Esox lucius) habitat preference and success in restored wetlands.